TNT Service Centre was established in 2008 by father Neville and his two sons, Matthew and Adam. After working on cars all his life it felt like a natural progression for his sons to follow suit and soon we were looking to create a family run business with the clear mind-set of providing exceptional service at a great price. We knew that there existed an opening for a trustworthy garage with the focus on making sure every customer left their premises feeling completely satisfied with their experience. Our continued success at achieving this has seen the company go from strength to strength and we now sit as one of the areas premier automotive repair centres. We knew that if we could combine our high standard of workmanship with a completely honest approach, we could really create something special. 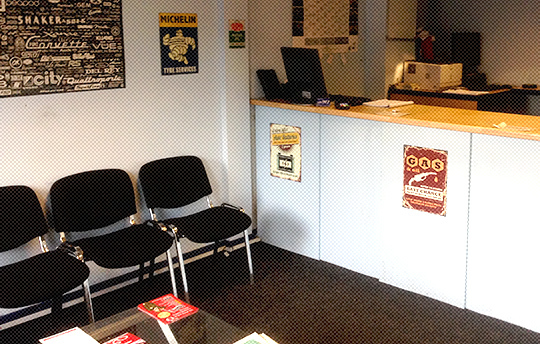 We pride ourselves on being completely open and approachable on all aspects of car repair. No work will ever be carried out which isn’t 100% necessary and authorised by the customer beforehand. We are really looking to build something for the future and we know that to do this we must succeed on every job to ensure our customers leave our premises amazed by the great service they have received. Being situated next to the A617 in Mansfield, off Oaktree lane, we are located near to the main car dealerships of the town. This means we are perfectly positioned to help customers avoid high cost dealer services whilst maintaining an exception level of standard. All work is fully guaranteed and we are authorised to carry out unaffected warranty servicing on all new cars. 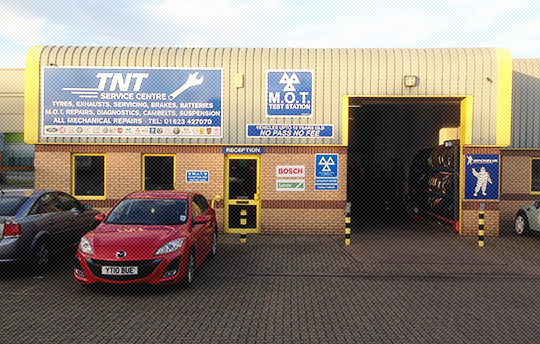 TNT Service Centre is also regulated and approved by the Vehicle and Operator Standards Agency (VOSA) to MOT test your vehicle.